Sparkle Labs says Happy Holidays with paper and lights! 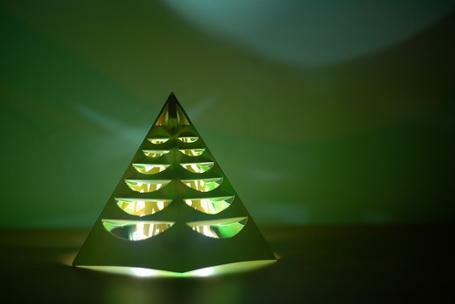 Sparkle Labs has come up with the sweetest little light up paper Christmas tree for the holidays. It is easy to make, just use your Discover Electronics Kit for the lights and follow the directions on this page. If you missed Hanukkah, its not too late! 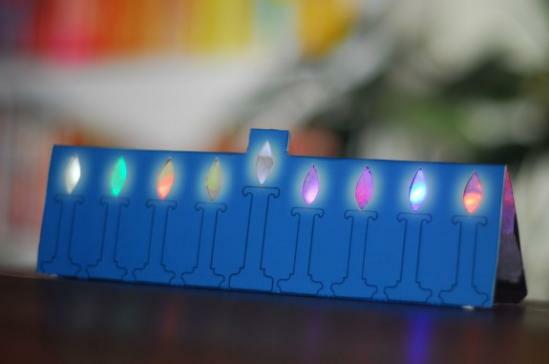 There are still a couple days left to make this beautiful paper Menorah! Download the instructions and template off the project website. Create a cute, bright, lighted bow with saran wrap, hot glue, and a couple of LEDs. Yup, you heard me… saran wrap and hot glue. It is the perfect holiday craft for mom’s and daughters to do together, without breaking the bank. Watch the video below and learn how to make a light-up bow. 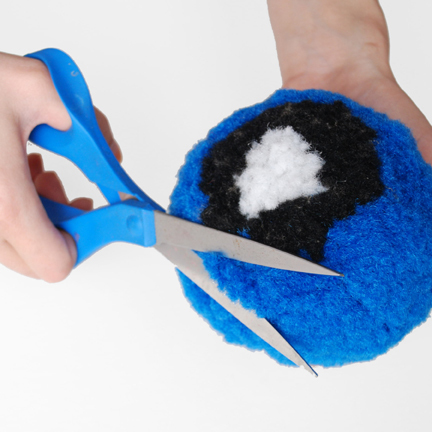 I promise that it is so easy, you won’t want to make just one! DIY: How to Make A Lighted Holiday Bow from iHeartSwitch on Vimeo. 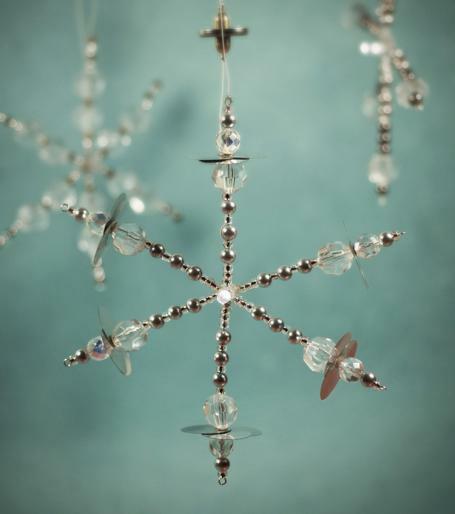 Get your holiday started right by beading a beautiful LED snowflake ornament by Syuzi Pakhchyan. This project is perfect for jewelry buffs and those who like details and shiny things. You can find the tutorial on Syuzi's site, fashioning technology. 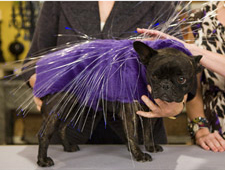 DIY Doggie Porcupine Costume up on Martha Stewart Site! If you missed me on the Martha Stewart on Monday, the DIY Lighted Porcupine Costume segmet is up on her site! Click here to see the clip! You can also buy the costume on Etsy for $50. If you get it today, it should make it by Halloween! 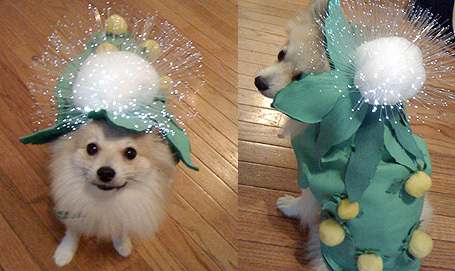 DIY: Light Up Dandelion Costume as seen on Martha Stewart Show! Before you start, you need to know where to get the fiber optics. You can find fiber optics in lamps like this one on Amazon , or this ready made decorating light kit , or you can buy a spool from a supplier like JFMagic.com. Make Your Own EA SPORTS Active Workout Pants—No More Leg Strap! We wrote about our positive experience with the Wii exercise "game" EA SPORTS Active a while ago and also demonstrated how to make a replacement resistance band for better workouts. Now, let's tackle another accessory of EA SPORTS Active: the leg strap, or more accurately, how to eliminate the leg strap from your workout equation. Surprise your guests by linking any object in your home to online videos! For example, in my home, if a guest picks up one of the pieces from my tea set and places it on an area of my coffee table, it plays a movie from my trip to South Korea on my LCD screen. [Post updated] Here at Switch we are very into the convergence of lifestyle and technology (not that you haven't noticed). One trend that we found very encouraging is the technology-assisted fitness programs. Inventions such as Nike+, Wii Fit, and Equinox MyEq are all great examples of what can be done in this space. The latest success story is a Wii exercise "game" called EA SPORTS Active (video embedded below). While it can't replace a real personal trainer, it may be the next best thing for people who don't have the moolah to hire one or find the gym mind-numbingly boring. No wonder it managed to sell over 600k copies in less than two weeks and shows no sign of slowing down.